After a very short walk at the Phenix-Harris Riverwalk I made my way to this walk. It is another rail to trails site. The walk starts at a small parking lot on Hill Street and follows small streams. The path in this area is rather root bound. In a bit the path widens and other paths down the hill appear. 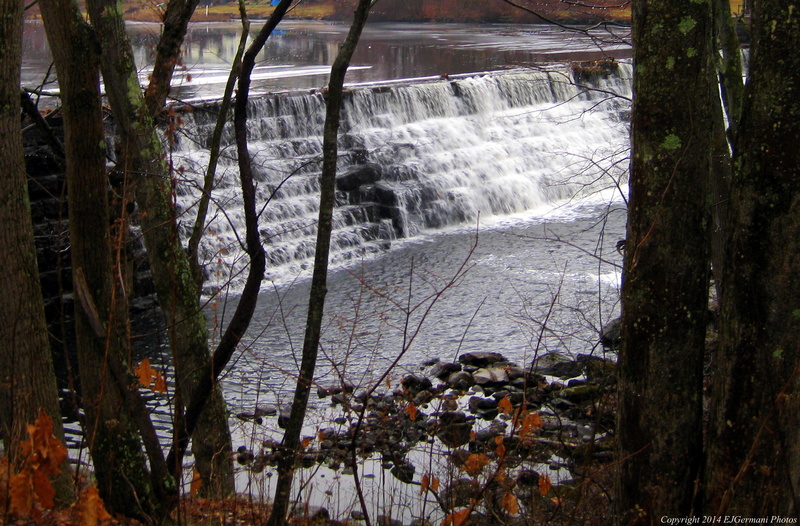 I continued straight passing a dam until I reached the end near the ruins of an old New England factory. I then retraced my steps for a while before exploring the lower trails closer to the river. I then made my way back to the main trail and back to the car.